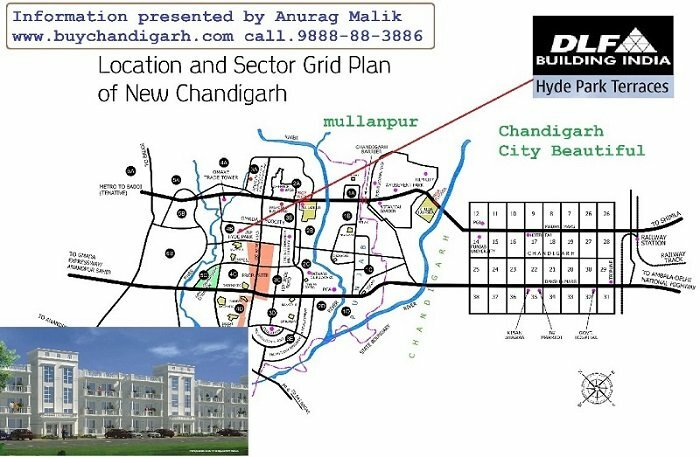 DLF hyde park new Chandigarh Mullanpur has a mix of all residential and commercial needs. Out of which DLF floors/Flats which are nearing possession is one of its kind property to live for an end user seeking home in a budget or Rs.80.lac for a DLF apartment. It’s worth having a visit to DLF hyde park and see the development and a sample Floor before finalizing a deal.. Landmark: Opp to Air-force Defense Zone. Chandigarh ISBT-17 only 13 KMS. Chandigarh Railway Station only 20 KMS.